Blade plans a slow rollout, targeting Californians first and a wider launch to the continental U.S. by the end of 2018. OnLive, LiquidSky, and now Blade’s Shadow: A short line of startups has tried to eliminate the need for a local PC and put games on a remote, powerful server. Now Blade is expanding from France into the United States—but taking it slowly. Blade will begin taking early signups for the Shadow service Thursday, providing each customer with their own virtual server running on the Blade’s Palo Alto, California-based campus. For the price—a rather eye-popping $34.95 per month, minimum—users will receive a dedicated 8-thread Intel Xeon CPU, 12GB of RAM, and an Nvidia GPU that will stream games at 4K resolution at 60 frames per second, company executives claim. Blade execs also showed off a dedicated Shadow box that will boast its own ports and CPU, which will launch later this year. 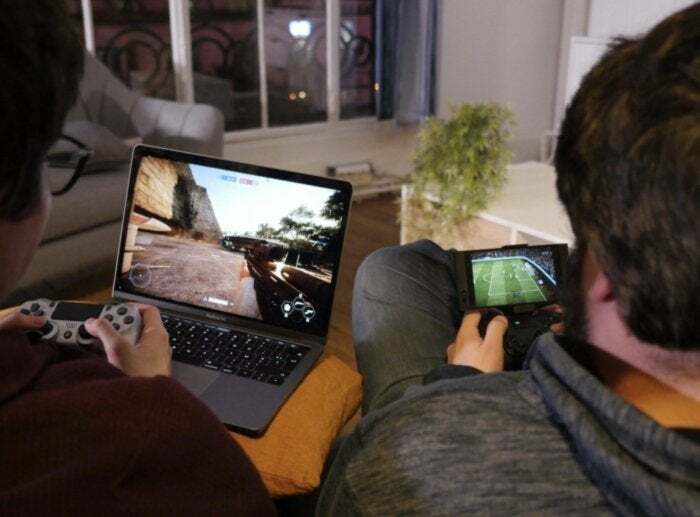 Cloud gaming’s premise is easy to understand: Users run the Blade client on their own hardware, including tablets. Mouse, keyboard, and controller input is sent upstream to the Blade server and processed there, while the game’s video and sound is streamed downstream to the client, like video. Theoretically, that allows gamers to play whatever games they’d like with minimal hardware investment. The downside is that any back-and-forth latency can render a game unplayable. Blade won’t sell games; Blade wants to lease you a replacement for a desktop PC, complete with a copy of Windows 10. You’ll be able to “download” games from your existing Steam library to the Blade Shadow and play them there. 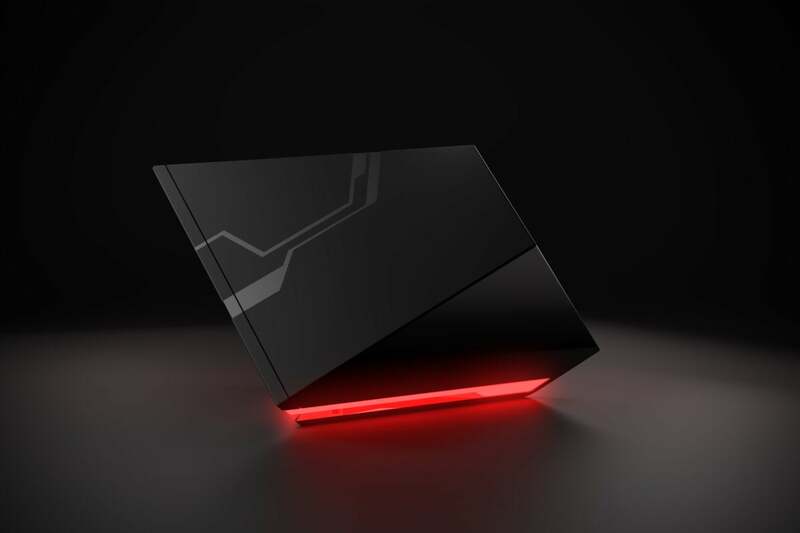 “Essentially, the goal is to replace the desktop PC completely,” said Asher Kagan, the president and co-founder of Blade, in an interview. The story behind the story: From personal experience, OnLive’s service ran nearly flawlessly, helped by servers in relatively close physical proximity and net code specifically designed to minimize latency. In a demonstration by Blade’s executives, we, too, saw minimal latency. But what killed OnLive was its unsustainable business proposition. Dedicated cloud servers were too expensive to maintain, and nailing the number that users would need at any one time was difficult. OnLive even got two chances, and failed both times. After an optimistic start, Nvidia slammed the brakes on its GeForce Now beta, claiming the company is still “years away” from a viable service. And LiquidSky? Still in beta. The odds are therefore against Blade. According to Kagan, Blade will offer a configuration that’s a cross between a server and a gaming PC, with the equivalent of Core i7 performance. Kagan also pledged to upgrade the hardware periodically, as new CPUs and GPUS become available. If there’s a catch, it’s this: Because of the need to place dedicated servers next to Blade’s Shadow customers, only Californians will be able to sign up for the Shadow service, at least initially. On the other hand, there’s an unexpected benefit. Because of the lightning-quick infrastructure cloud gaming requires, Shadow boxes will boast a 1-gigabit connection, Kagan claimed, meaning games that “download” to a Shadow box will do so in seconds. Blade also showed off its first piece of dedicated client hardware, for those who don’t want to use another PC or a tablet. The Shadow Box includes an AMD APU, a pair of USB 3.0 ports, and two DisplayPort 1.3 connectors. Shadow picked the chip, Kagan said, as it’s capable of decoding 4K video at 144 fps at 60Hz. The price hasn’t been disclosed. Preorders for the Shadow service will begin Thursday, January 4, on the company’s website, and Blade expects the Shadow service to launch on February 15. Blade has set a goal of 100,000 users by the end of 2018, executives said, as it builds out data centers across the United States. But Blade has also established a track record of sorts, launching in France and signing up 5,000 customers. Kagan claimed that 53 percent of users switched to Shadow as their main gaming PC, and the company was able to convince customers, though “blind gaming tests, that there was no difference between a local PC and the Shadow service. Now, the company has raised additional funds to launch within the United States. Investing $50—roughly the price of a game—to try out the Shadow service seems like a pretty steep investment. Put another way, though, the amount you’d spend for a $1,200 gaming PC would work out to almost three years of Shadow membership. For those with the willingness to try out cloud gaming—again—Shadow sounds intriguing.